'Sirius' Poetry From New Poet Laureate W.S. 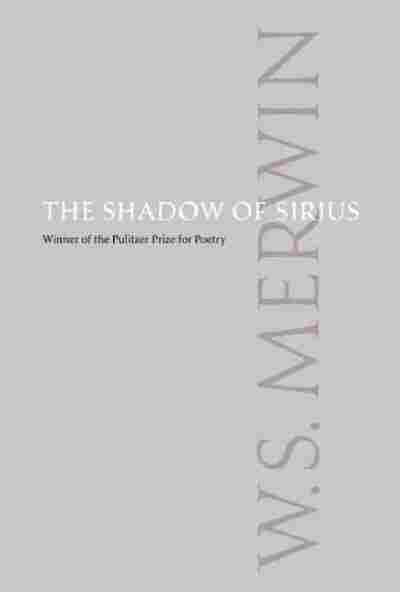 Merwin On Thursday, W.S. Merwin was named the 17th poet laureate of the United States. The two-time Pulitzer Prize winner, known for his anti-war poetry and environmental activism, joined Fresh Air's Terry Gross in 2008 for a discussion about memory, mortality and his writing process. W.S. Merwin is a two-time Pulitzer Prize winner. He will become the 17th poet laureate this fall, succeeding Kay Ryan. When W.S. 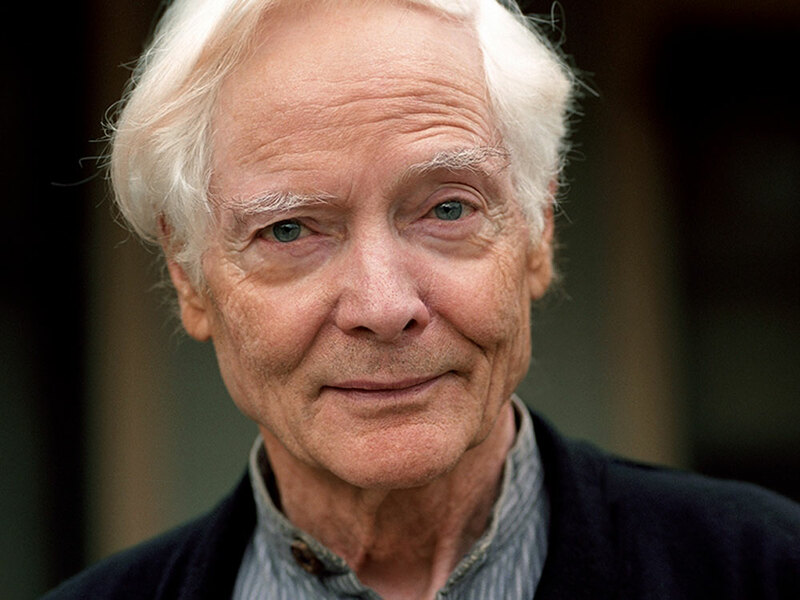 Merwin won the National Book Award for Poetry in 2005, the judges' citation said "Merwin's poems speak from a lifelong belief in the power of words to awaken our drowsy souls and see the world with compassionate interconnection." On Thursday, Merwin -- who lives on a former pineapple plantation in Maui -- was named the 17th poet laureate of the United States. He plans to serve his term from Hawaii, where he frequently speaks out about restoring the rain forests and other environmental issues. Merwin was born in 1927, the son of a Presbyterian minister. When he won the Pulitzer Prize in 1971, he was best known for his poems against the war in Vietnam. He received a second Pulitzer Prize in 2009, for his collection of poems The Shadow of Sirius. In a 2008 interview on Fresh Air, Merwin discussed his writing process and talked about the power of both memory and mortality. He is the author of more than 20 books of poetry and nearly 20 books of translation. He won his first Pulitzer Prize in 1971 for The Carrier of Ladders. "I think memory is essential to what we are. We wouldn't be able to talk to each other without memory, and what we think of as the present really is the past. It is made out of the past. The present is an absolutely transparent moment that only great saints ever see occasionally. But the present that we think of as the present is made up of the past, and the past is always one moment. It's what happened three minutes ago, and one minute, it's what happened 30 years ago. And they flow into each other in waves that we can't predict and that we keep discovering in dreams, which keep bringing up feelings and moments, some of which we never actually saw." "You know, I didn't like my years in Scranton, Pa., particularly. They were very important. They were from the age of 9 to the age of about 14. And then I find that the props and the scenes, the light, all sorts of things from there come back with an increasing reality, an increasing freshness that they probably didn't even have for me at the time or that I didn't notice at the time. And this is true of different periods of my life, and I think this happens to everybody. I think this is one of the benefits of getting older, that one has that perspective on things farther away. One is so caught up in middle years in the idea of accomplishing something when in fact the full accomplishment is always with one." "Well, you know, all the inhibitions one has with parents. My father was a very -- when he was younger, [he] was a very repressive, capricious, punitive, incomprehensible, distant person. And I've freed myself from that, insofar as one ever frees oneself from any such influence fairly early. But one was always aware of the things that would trouble either of them, and all of those things were gone. I mean, I could say, or do, or think, or go, or meet, or talk, to anything and anybody the way I wanted to. I was as free there as I was anywhere in the world. And it was a sort of desolate freedom, of course." Excerpted from The Shadow of Sirius by W.S. Merwin Copyright 2010 by W.S Merwin. Reprinted by permission of Copper Canyon Press.